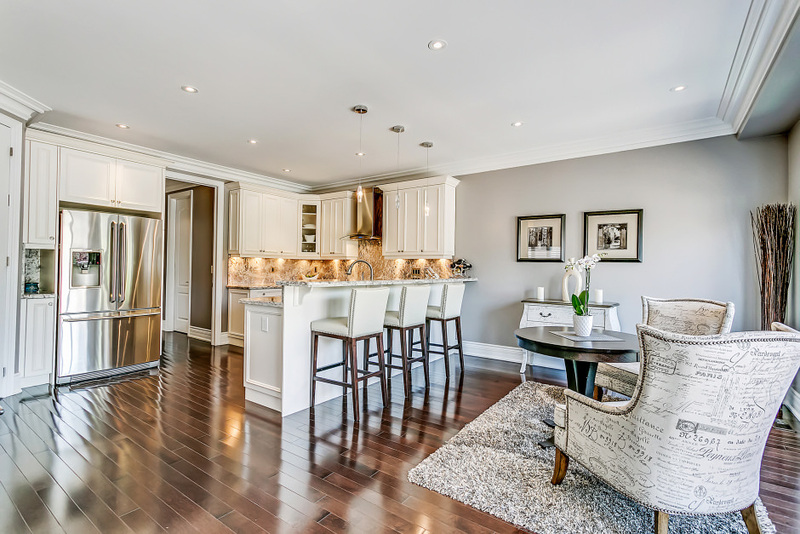 5-bedroom home on a 146’ deep builder preferred lot in central Milton. 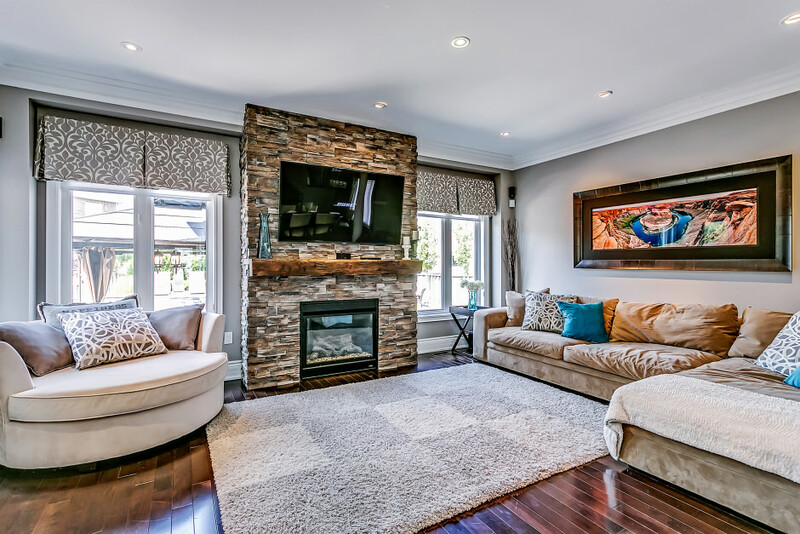 This highly upgraded home offers 4,476 sqft of total finished living space, including a fully finished lower level. A chic stone and stucco exterior is dressed with professional landscaping and patterned concrete hardscaping giving the home a custom-look. 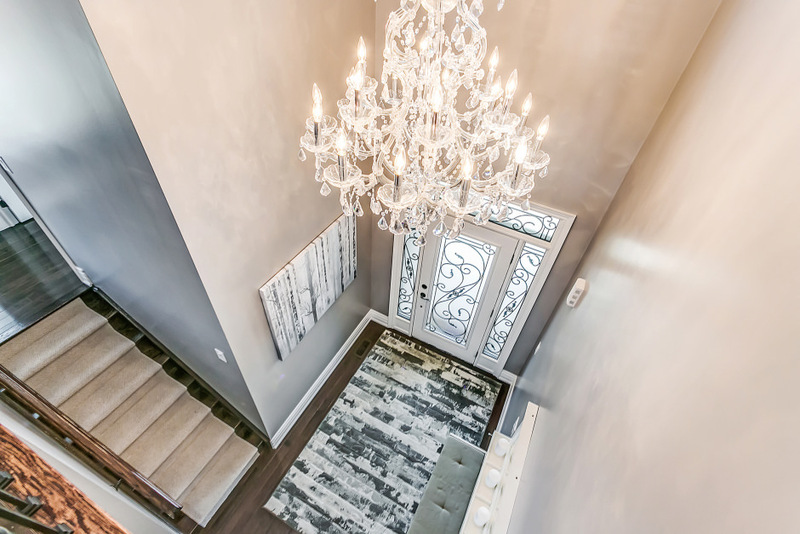 An oversized crystal chandelier hangs from the two-storey ceiling in your formal foyer, with two coat closets and convenient access to a double garage. 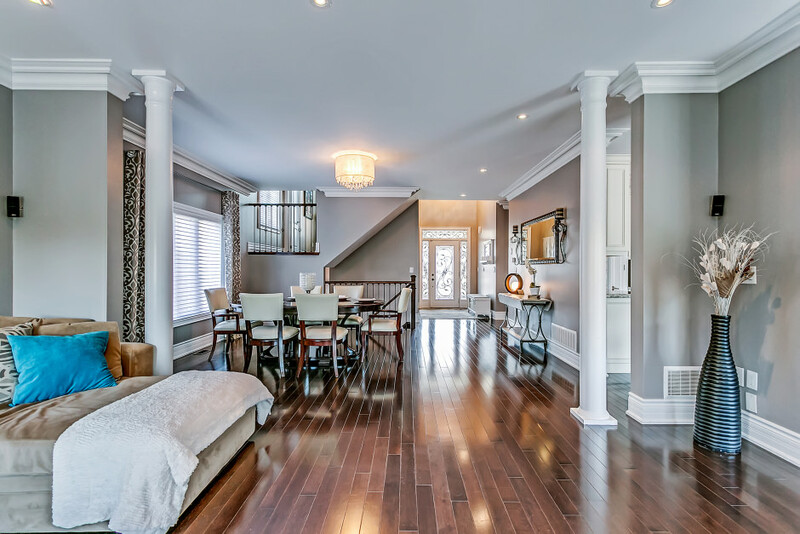 The foyer opens to a spacious dining room and open-concept great room with gas fireplace with full-height stone surround and rustic wood mantel. 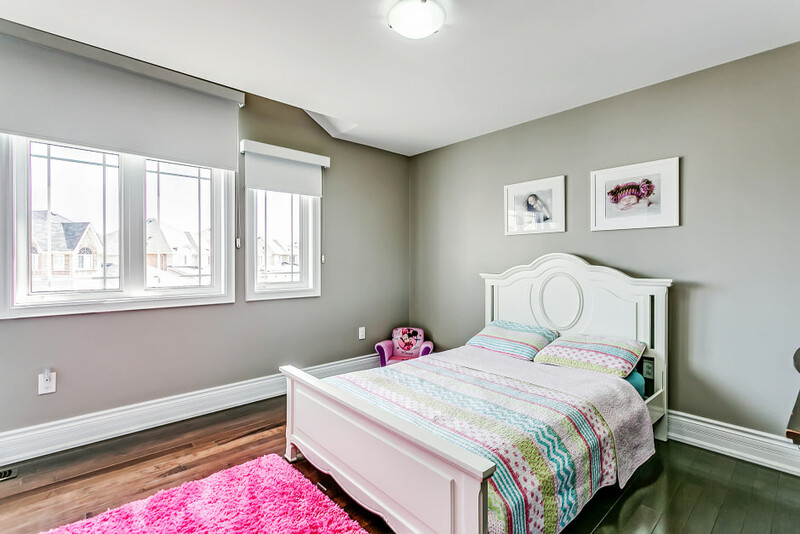 Luxury features throughout include dark stained maple hardwood flooring, 7” baseboards, double-height crown moulding, and mini LED pot lighting. 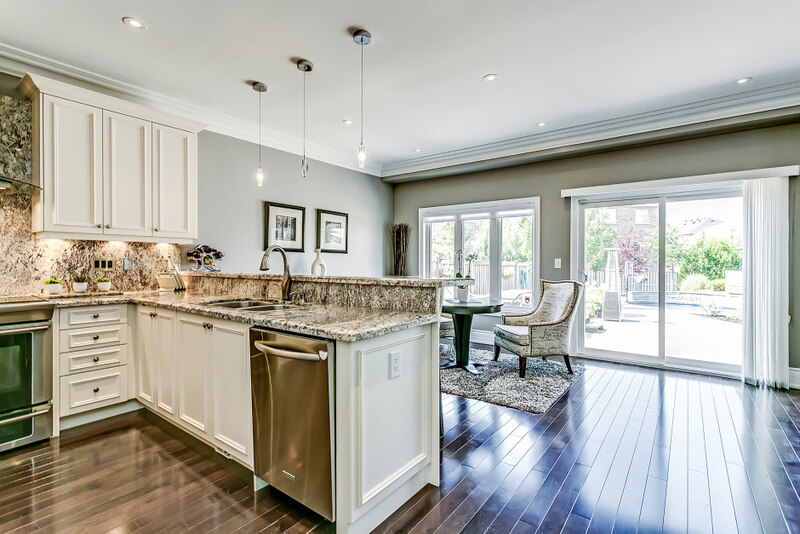 The gourmet kitchen boasts custom cabinetry, high-end stainless steel appliances, and gorgeous marble countertops flowing seamlessly into the marble backsplash. 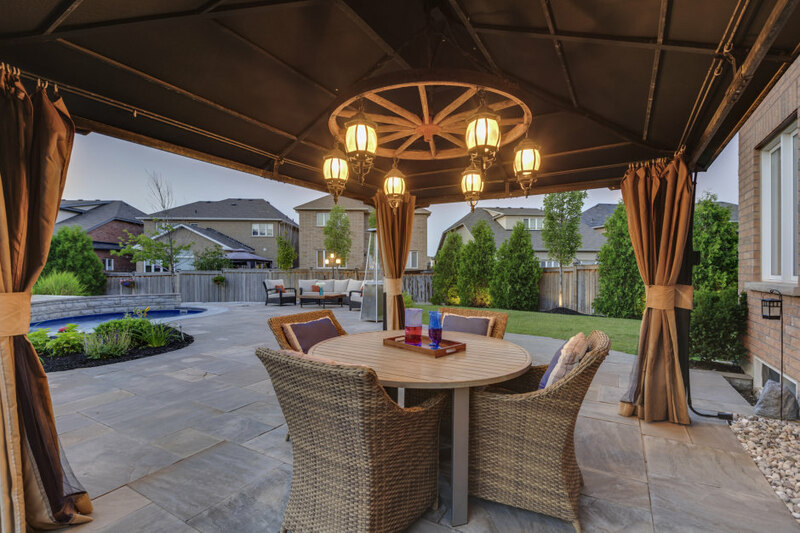 Dine at your breakfast bar with pendent lighting, or in the designated breakfast area with double sliding glass door walkout to the rear yard. 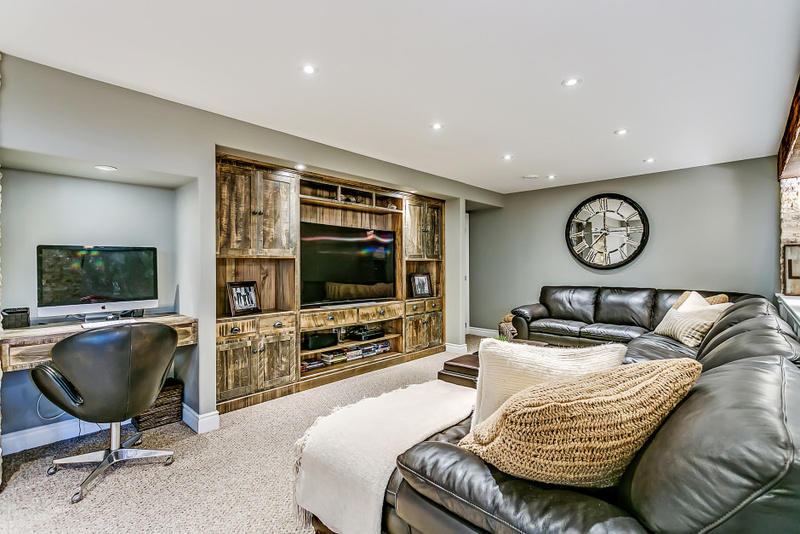 A den is quietly tucked away, making an ideal 5th bedroom for guests, with four additional bedrooms available on the second level of the home. 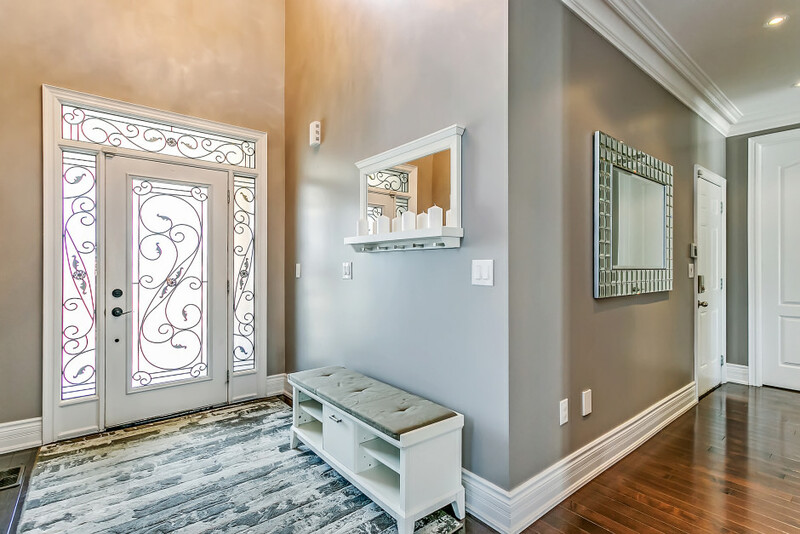 Double doors open to the master retreat, with designer sconce lighting and large windows overlooking the rear yard. 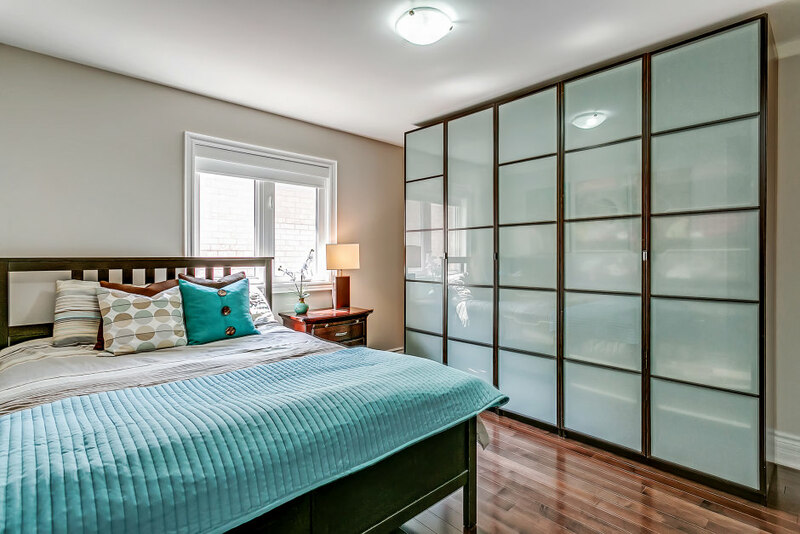 A walk-in closet and additional double closet provide ample storage. 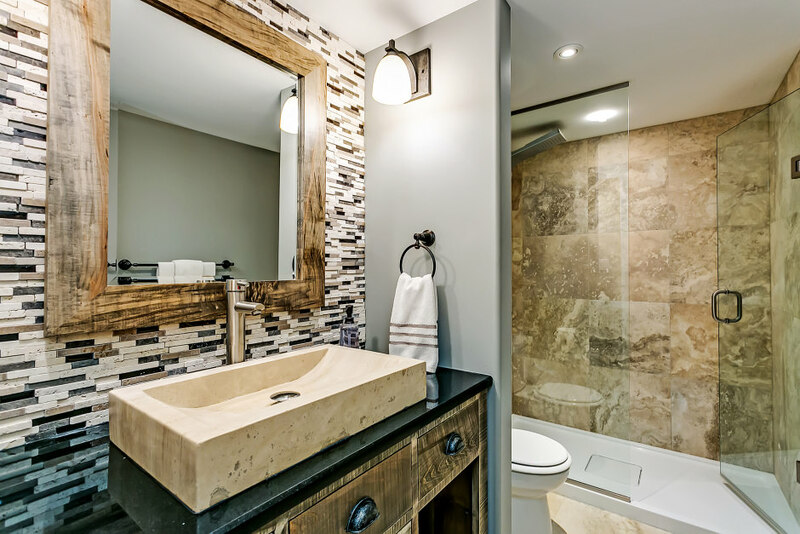 The spa-like ensuite features marble tile flooring, an oversized vanity with double sinks inset a quartz countertop, a Jacuzzi soaker tub, and a walk-in glass shower with marble tile surround. 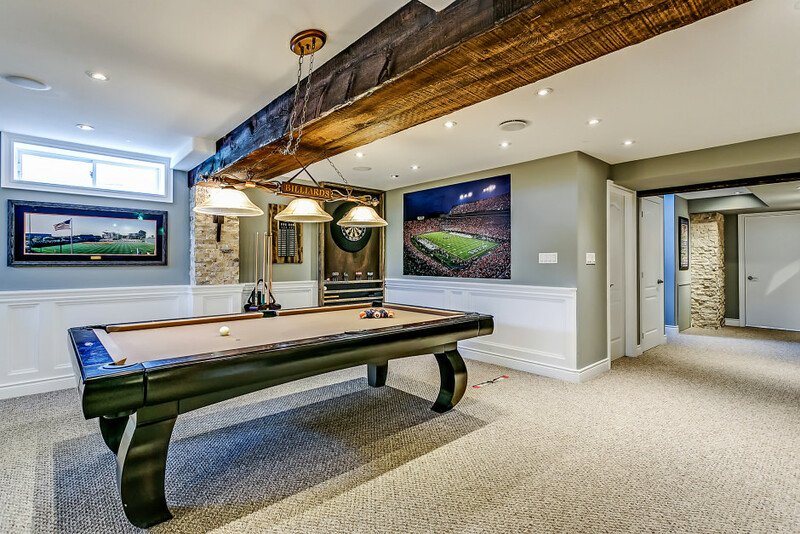 The professionally finished lower level is an entertainer’s dream, with built-in ceiling speakers and a wet bar overlooking the recreation/games room. 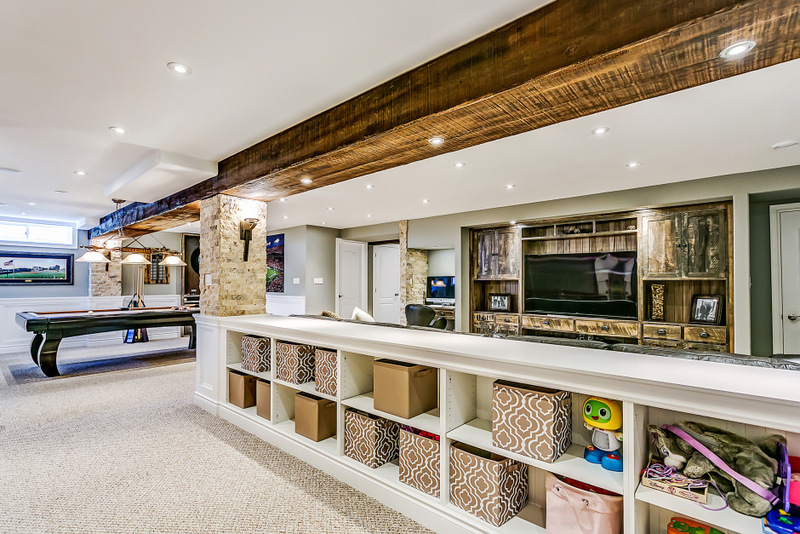 A large wooden feature beam compliments the media room’s built-in rustic wood entertainment centre. 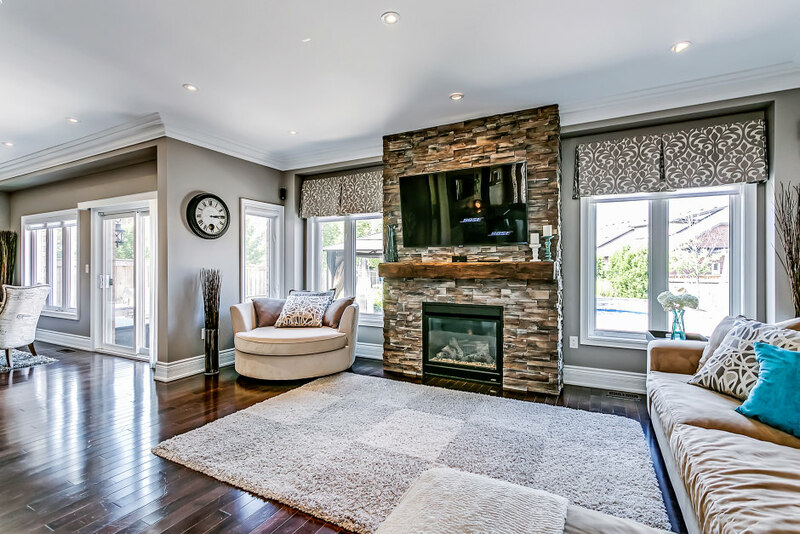 Additional custom features include stone accent walls and a large stone feature wall with display lighting. 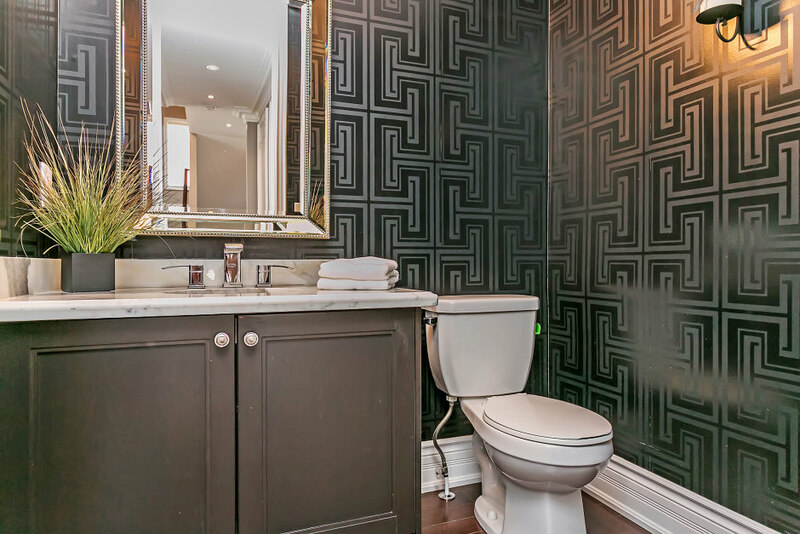 A third full bathroom, and exercise room with ample natural light complete the space. Outdoors, this premium lot has been fully loaded with everything you’ll need to relax and enjoy time with family and friends. 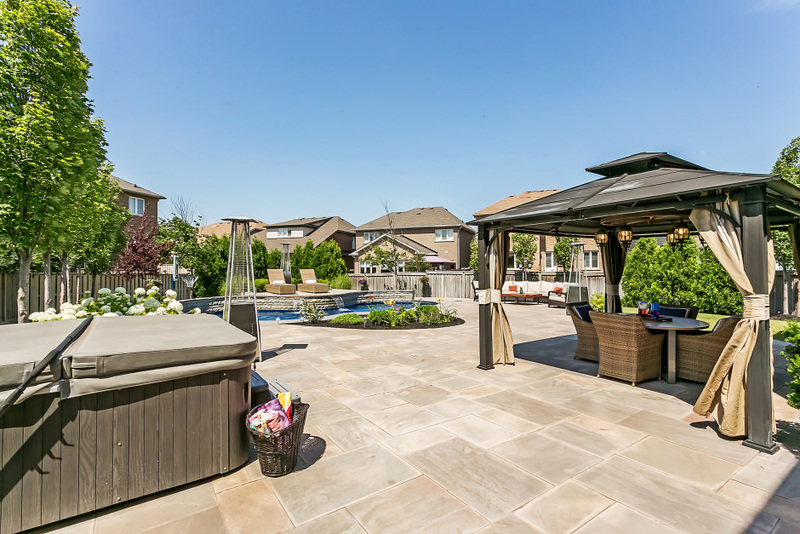 A substantial flagstone patio offers space to dine al fresco, with a built-in outdoor kitchen with gas BBQ, temperature controlled beverage fridge, and stone serving counters. Lounge overlooking your in-ground saltwater pool with sheer descent waterfall feature, or take a dip in the 8-seater hot tub. A built-in fire pit with armor stone seating surrounded by mature cedars gives a Northern cottage-like feel. Professional landscaping with LED landscape lighting is serviced by a 5-zone irrigation system for minimal maintenance. 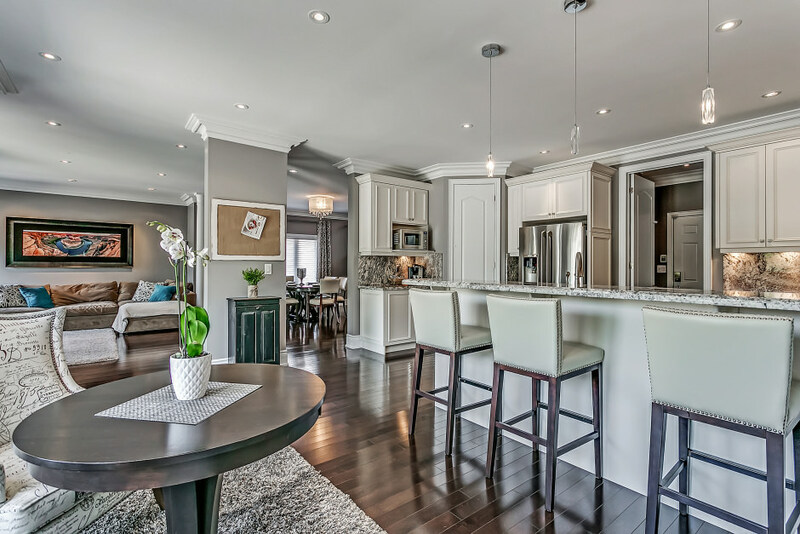 Located in the heart of central Milton within walking distance to top-rated schools, extensive amenities, and a 9-minute drive to the Milton GO station. This home achieves the elusive total package!